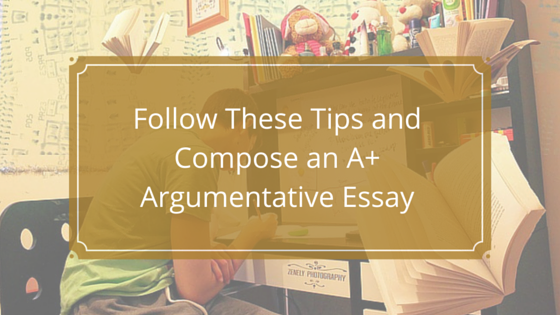 You are given your topic or theme around which you should write your essay. If you are not given a theme or topic, then do not pick a topic that has been done to death. Things such as abortion, capital punishment, foreign policy, are a snooze-fest that your professor has seen hundreds of times. If you want a better grade then helping your professor enjoy the text is going to help. Here are some more tips to help you get a better grade. If you are restricted to a word count, then make it fall within a 10% tolerance. If you are struggling to get up to the word count, then you have not planned your essay very well. Tip - Your argumentative essay is like a woman’s skirt. It should be long enough to cover the subject but short enough to keep it interesting. It is possible to argue a point forever because a logical mind can create a counter argument to every argument on earth. That is why it is possible to go on forever. Your best bet is to stick to central themes and create slightly broader points if your essay is starting to look as if it will go on. Tip - Do what no woman can do and stick to the point. The aim of your essay is not to provide a correct answer because there may not be one. The aim is to create a batch of arguments that hold water. If they do not hold water then they should be counters with arguments that do hold water (that are airtight). Writing an argumentative essay is not like settling an argument with your lover, though they can both be done naked in a bedroom. Tip - Enjoy being right by siding with the winner. If your research shows you a correct point, then change your thesis to agree with it. Just because you have found lots of resources that agree with you does not mean you are correct. Yet, in college if you find lots of supporting evidence you are given more marks. This means all you need to do is find lots of supporting evidence and you will get the higher grades--even if you are completely wrong. The trouble with college essays is that they allow this sort of bias through referencing. The real world is like that too, but such essays are easier to ignore in the real world. The weight of one logical argument can be usurped by unlimited resources stating differently. It is quite possible to be correct whilst the rest of the world (flat earth?) and yet you are going to find lots of evidence to the contrary of you being right. You can go two ways with this: you can agree with the evidence you have found via your resources, or you can go against it and try to argue your logical point. The latter is going to make it harder to get the higher grades, as people like to read and hear what they think they already know. For example, if you tell people that being straight is just a result of having enough magnesium in your diet, even if it is true, there are still going to be billions of people that do not want to read or hear it. The best argumentative essays are the ones that have lots of arguments to and for a matter/point. The idea is to exhaust the reader of potential check-out points. A reader may “check out” when a piece of text becomes disagreeable and they feel they know better. You can stop this happening by addressing all of their arguments in the essay. In other words, you have to come up with all the arguments that they are going to. You have to find every potential fault with your argument and address it. This could take forever because there may be no resolution to your argument. Still, the more counter-arguments you dismantle, then the more likely it is that your reader will agree with your thesis; the same technique should be used when creating persuasive essays. If you enjoy writing something then you will do it better. You will be more invested in the research and the logic of your piece. That is why if you are able to pick your own topic that you should pick very well. You should put a lot of thought into the topic you pick and then pick one that you will enjoy. You can even pick one that you are passionate about, just be careful how much you let your bias show through. If you do not enjoy writing your essay then it will show and it will become harder to get a higher grade. Becoming an Outline Master: Tailor the Perfect Research Paper Plan! Satisfaction and total confidentiality are guaranteed! This service has surpassed my expectations! I was stuck with an essay on politics and made up my mind to give it a try and order from these guys. Suffice it to say I got my essay written before the deadline! Quality is definitely worth the price and I'm totally satisfied with the results. There's no better service than essaymama.com! Maybe I sound like a marketing guy now but I'm simply a happy student - I got an A for my essay! I needed to catch up with my studies and opted for this new service - no regrets whatsoever. Superb job! Cheers!